The Flat panel heating radiator looks great in contemporary and traditional settings and is available in 7 coloured finishes. 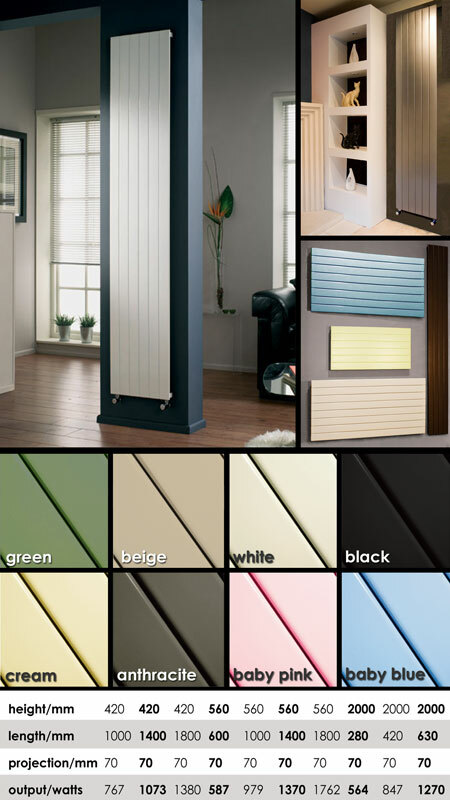 These radiators are available in vertical and horizontal designs and can be supplied in standard colours of white, black, cream, beige, pink, blue and anthracite, with bespoke colour finishes also available to special order. 2000mm high x 288mm wide. * 10 different radiator sizes.